I'd had this beautiful polish from Ninja Polish sitting in my untrieds pile for so long. Untried piles are such sad things, pretty polishes sitting there unloved. I need to find more time to love them, then again I need to find more time to do a hell of a lot of things. 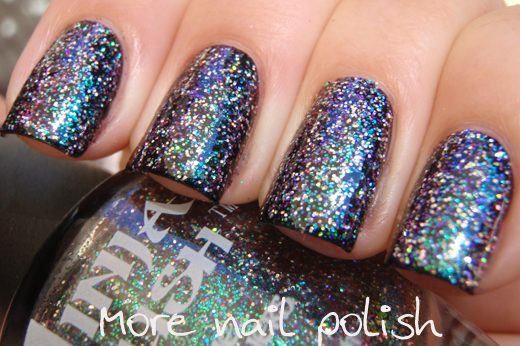 Ninja Polish Nebula is a fantastic combo of both colour shifting glitter and holographic glitter. Photos just don't do it justice. The colour shifting glitter is the same as those in Ozotic Elytra 528 and it's other dupes, but the big difference with this polish is the addition of silver holographic glitter in the same size. 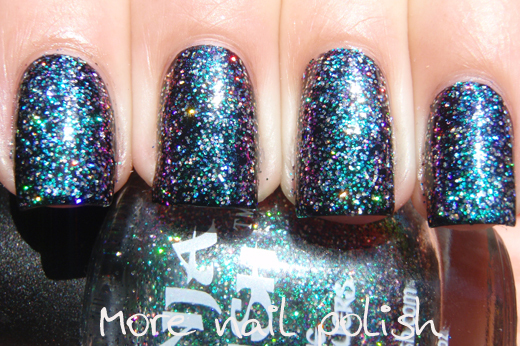 You can see the colour shifting glitter so easily, but all the holo glitter just looks sliver in thses photos. 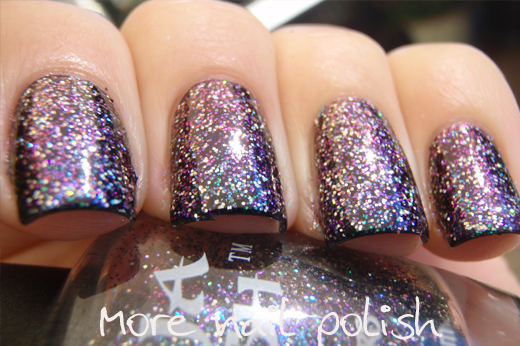 You'll have to trust me when I say these are holo and beautifully multicoloured. 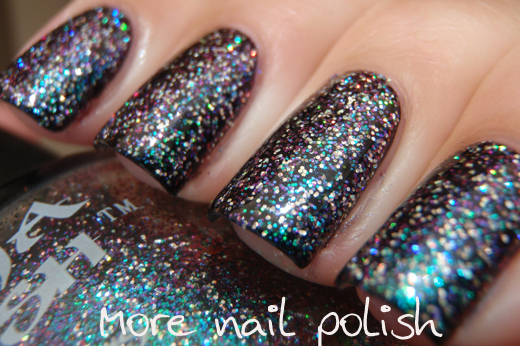 Ninja Polish Nebula (and all Ninja Polishses) are available from, you guessed it - Ninja Polish! Oh my goodness, I think I might need to pay a visit to the Ninja website soon. That is so awesome and glowy, I love it! 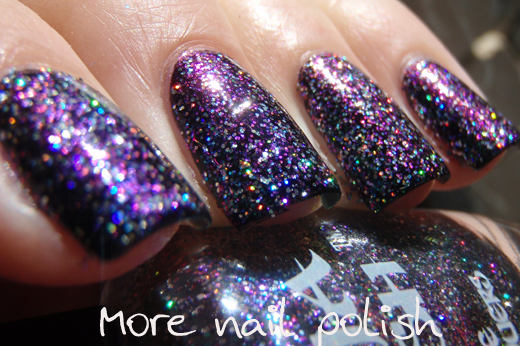 I love when it looks more purple :) Thanks for sharing about this Ninja polish! 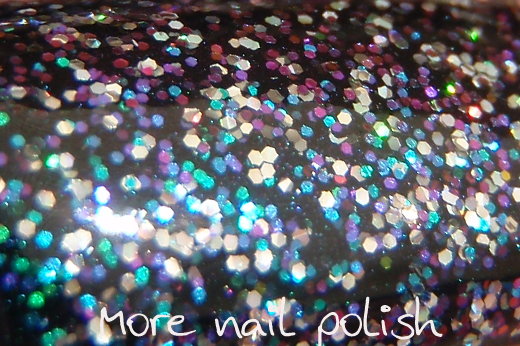 Color-shifting glitter is so pretty :) I love the variety of Ninja Polishes.